The cemetery lying atop the hills is still and silent. 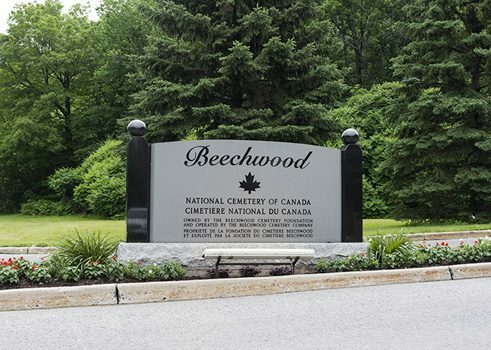 It was founded in 1873 and has been the National Cemetery for the Canadian Forces since 1944. In 2000, it was designated as a National Historic Site of Canada. The picturesque 64.7-hectare site is mostly surrounded by woodlands. In Section 26, between the woods and the military cemetery, you can find several gravestones with German names. 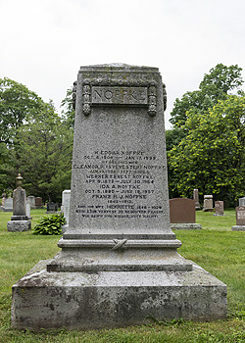 The grave of family Noffke | © Goethe-Institut Montreal When Ottawa was made the seat of the new Canadian government in 1863, it needed a network of streets befitting its new status. At the time, stone and gravel for the road surface needed to be broken down to the desired size by hand. Sizing the stones was not only exhausting work, but was also looked down upon, and many people refused to perform this lowly job. It was therefore necessary to employ immigrants, who were willing to work as stonebreakers. Many believed that immigrants from West Prussia, Pomerania, Posen, Silesia, Mecklenburg, and the eastern part of Brandenburg were particularly well suited to this job, as they were used to hard work. In addition, they earned significantly less in their home country than workers in other countries, such as England. Representatives of the Canadian government were therefore sent to the eastern regions of Germany to advertise jobs in Canada. The poem “Stone Breaking” by Duncan Campbell describes these first German immigrants at work, which was paid by the “toise” (a unit of measurement from pre-revolutionary France, equivalent to about 2 metres). The number of these German families is estimated to be around 100, but there hasn’t been a systematic collection of data. In order to build their own place of worship, the German community purchased a plot of land on Wilbrod Street at the beginning of the 1870s. They built the St. Paul Lutheran Church there with the help of the city. During the economic crisis of the 1870s, the stonebreakers found it difficult to earn a living. 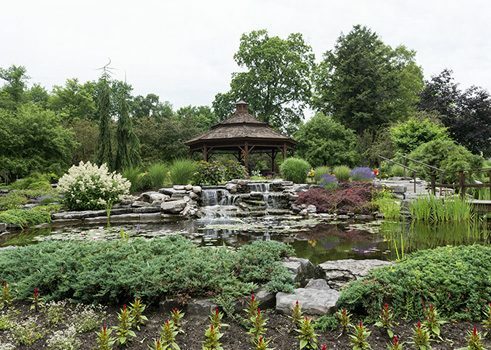 Ottawa recovered very slowly from the economic crisis, which saw half of the parishioners of St. Paul’s leave Ottawa to earn their living elsewhere. However, there was a large wave of immigration in the 1880s, which was documented in the passenger lists of various steamboats, in the church register of St. Paul Lutheran Church, and in the population census of 1901. 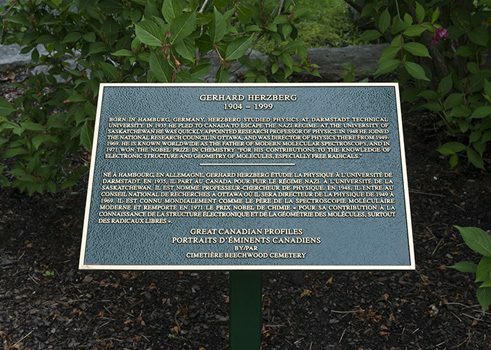 In Section 26 of Beechwood Cemetery, many family graves belonging to these immigrants can be found, some of them with German inscriptions. They left their home country with the hope of a better life. While it’s questionable whether or not they could realise their dream, no one could wish for a more beautiful final resting palce.